I was too skinny for school sports. I was 5'10" and weighed 123 lbs. in high school and until i married. I hated health class but liked gym. Seems like I always had to wrestle Jimmy Bocock who always beat me. I learned to fly fish for bass and bream on the North Landing River in Virginia Beach. Fly Fishing is the only way to fish fresh water. Theres just something about the sound and sight of a bass hitting a top water bait. I used to make and sell top water poppers. 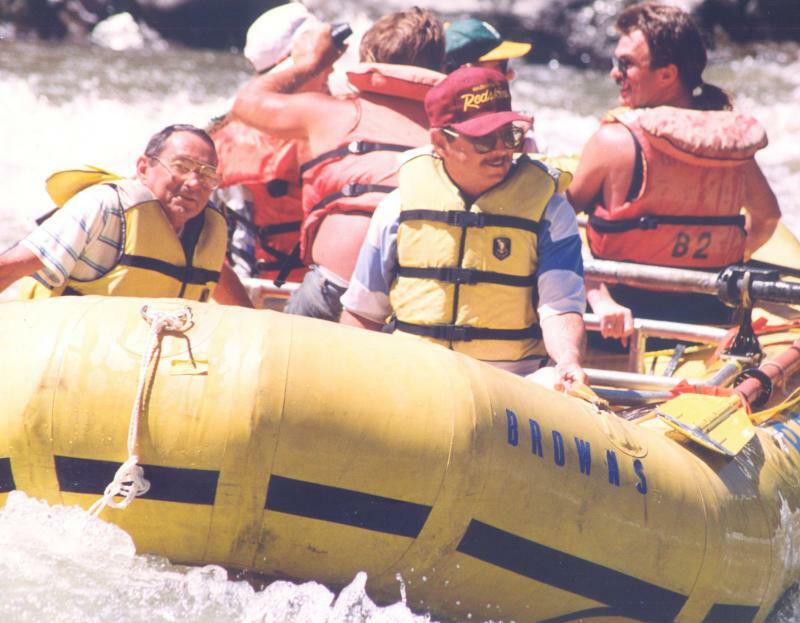 I had a 14 ft. boat and 45hp motor and practically lived on the river. I would carry my shotgun and shoot snakes while fishing. Once we caught a raccoon with the net and brought him in the boat. That was a mistake. I could whistle a cerain way and call a cottonmouth right to the boat. Besides Paul Harper, my fishing buddies were Bill Belton and his son Ricky. Ricky and I caught many nice bass and bream together. Surf fishing on the Outer Banks of N.C. was another favorite. I have caught 45 lb. 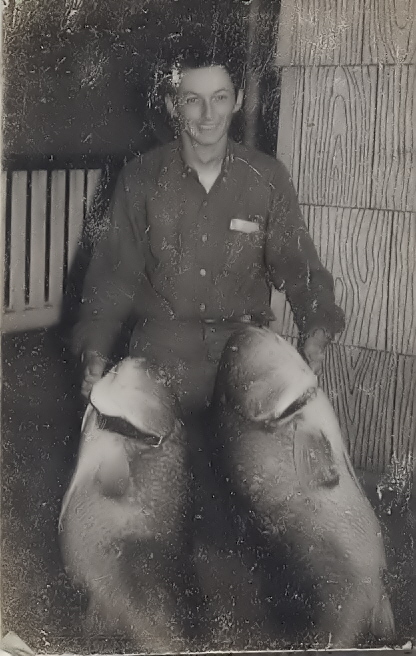 Red Drum, Blue Fish up to 12 lbs. 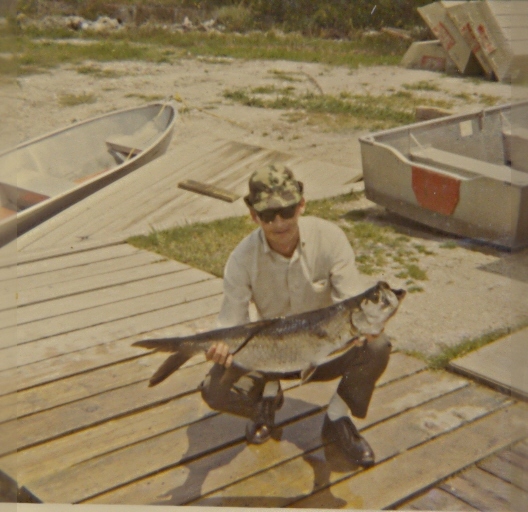 In the Florida Everglades, i caught a tarpon and lots of snook. I sold my boat, motor and trailer so i could buy an organ and have regretted it ever since. I always had four wheel trucks and drove to the surf and started fishing. 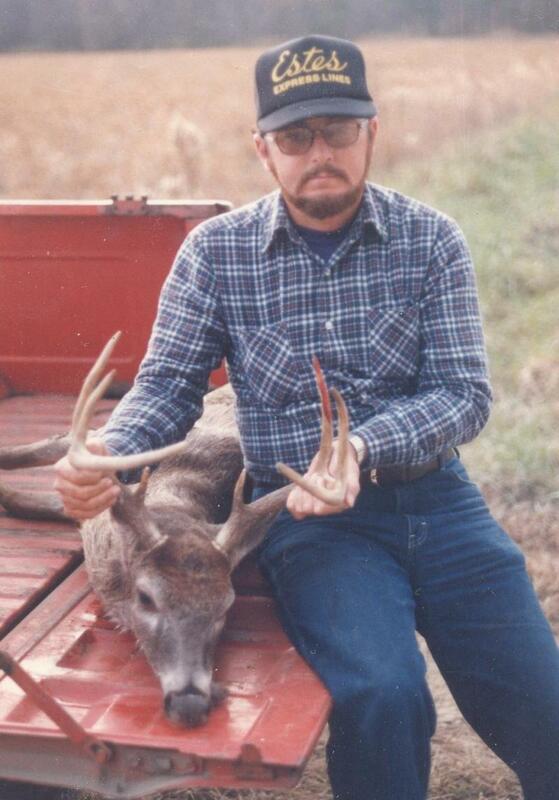 I started hunting when I was about 19 and joined the Land of Promise Hunt Club. My very first deer was a perfect 8 pointer that i had mounted. 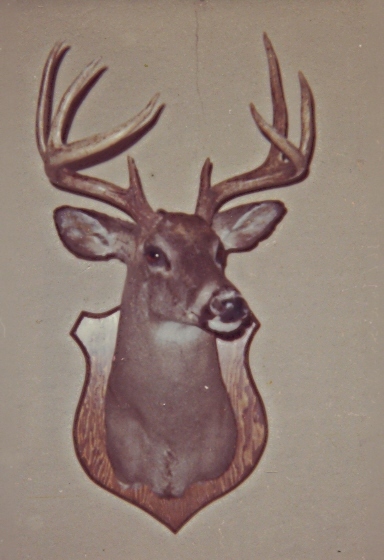 I became a club officer and hunted there about 15 years. The last day i hunted there, I killed a rattlesnake on my stand with a stick. He didnt rattle till i hit it. It was very scary to have to walk out at lunchtime after that. I had killed loads of cotton mouth mocasins on the river but that rattler bothered me. Paul Moberg and myself joined the Corapeake Hunt Club in 1975. We hunted together for about 40 years. The last two deer I killed were both 10 pointers. We managed to get to laughing so hard we cried almost every time we went together. 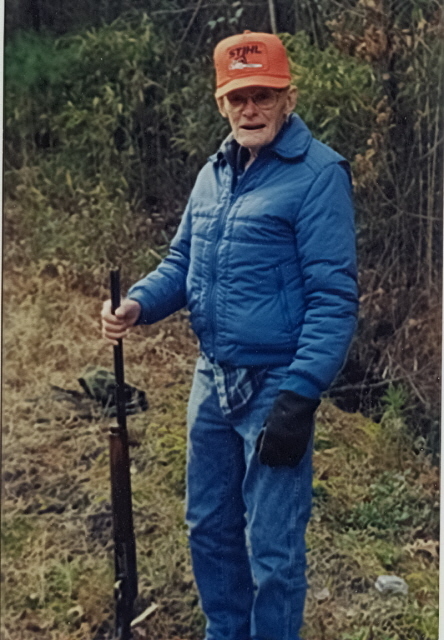 He hunted until his 80's .His death and my poor health have caused me to give up hunting. The best thing about hunting is just being outdoors and the people you meet. Paul was a character and he loved hunting. He killed a 14 pointer and never let me forget it. Once i was standing on a power line and saw a bear and two cubs come out and look around. That was an awsome moment. In the Corapeake Hunt Club, i have watched boys grow to adults and now they have their own kids. The guys in that club are the best and I love to hunt with them. I am a die hard Redskin fan, even though i may waiver every once in a while. I am a great fan of golf greats like Arnold Palmer . Tiger Woods is my favorite now. He is unbeleivable. I used to play golf and really liked it but got tired of looking for my ball in the woods so i gave it up. I love watching Nascar on tv. My favorite Nascar driver was Dale Earnhardt. My wife and I toured Dale Earnhardt Inc. and Richard Childress Racing shops in Mooresville, N.C. I usually root for Earnhardt Jr. now. Anybody but Gordon and Johnson. 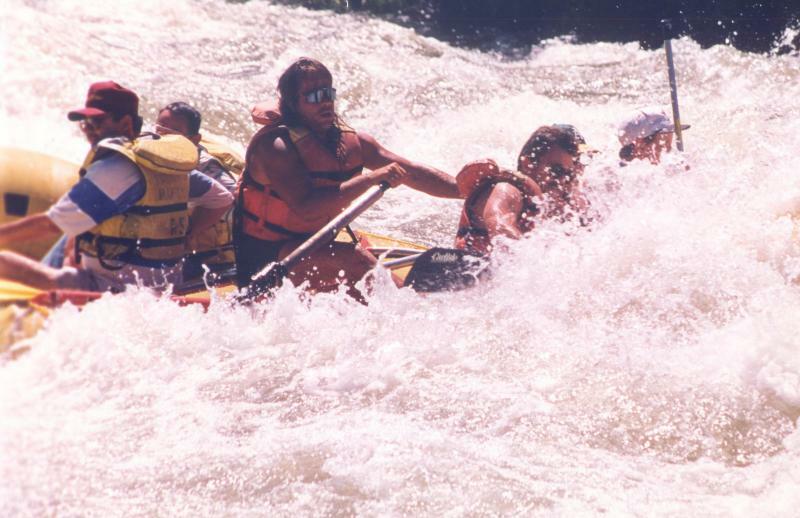 The wildest thing I ever did was go white water rafting with brother Bruce in Colorado. That was an experience i will never forget. I can't even imagine us doing that.